We would like to keep in contact and provide a directory and platform of dialogue between ICMAB and this growing and valuable community, its Alumi. The aim is to create a network of ICMAB Alumni that can bring support, advice, coordinate and promote activites, organize meetings, disseminate their knowledge, share job offers, etc. between its members. 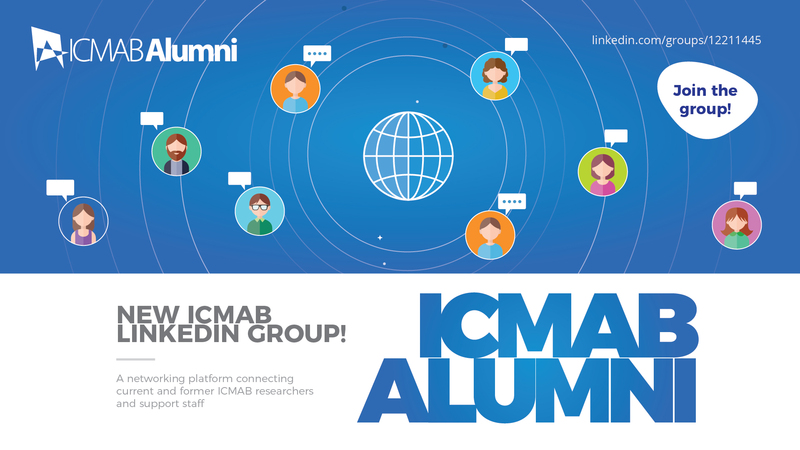 As a first step, we have created a Linkedin Group: ICMAB Alumni. We encourage you to join it, and help us find our lost Alumni! You can invite your friends and former colleagues to the group, so we can enlarge this community! The ICMAB Alumni network is open to everybody (researchers and support staff) who has spent some time working at ICMAB, either as a student, researcher or support staff. Help us grow this community! For more information contact info@icmab.es.